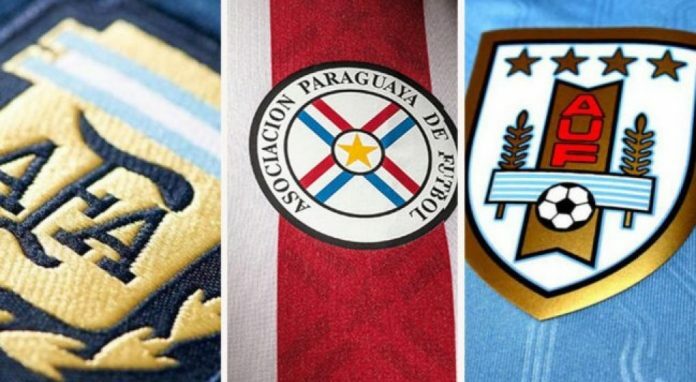 Argentina, Uruguay and Paraguay have now agreed on the host cities for the 2030 World Cup bid. The three countries confirmed yesterday that Argentina will have eight host cities while Uruguay and Paraguay will each have two. The tournament currently has one proposed bid but a few others are said to be interested. Last year, the Argentine and Uruguayan Football Association expressed their interest in hosting the 2030 World Cup when Luis Suarez and Lionel Messi held commemorative shirts before a match between Argentina and Uruguay. Paraguay later joined the bid to make it three countries. Claudio Tapia, the President of the Argentine Football Association, said on Monday that Argentina will have eight host cities but that those haven’t been selected yet because that decision will be made at a later stage. If the bid wins, it will coincide with the 100 years of the first ever World Cup, which took place in Uruguay back in 1930. Uruguay and Argentina made it to the final, which was won by Uruguay. The tournament had three venues in one host city but a lot of things have changed since, including the amount of games played and the number of teams that qualify. The 1930 World Cup had just 13 teams but the 2030 edition will be the second tournament to feature the expansion approved by FIFA last year. The expansion, which begins with the 2026 edition, adds 16 more teams to the tournament. This means that there will be 48 teams in the group stage. 32 of those teams will qualify to the next round. The three South American countries are not the only ones working on a joint bid. The 2026 edition also has a joint bid from the US, Canada and Mexico. That bid is competing against Morocco, a country that has recently hosted several FIFA tournaments. The current plans, if the US, Mexico and Canada bid wins, is to have the majority of the games in the US. Of the 80 games, the US is said to be hosting 60 of them while Mexico and Canada will host ten each. The World Cup has only been hosted by more than one country once. That happened in the 2002 edition, with South Korea and Japan hosting the games. Since then, Germany, South Africa, Brazil, Russia and Qatar have won bids. On June 13, 2018, FIFA will vote to choose the host of the 2026 World Cup.